Muslim friendly hotels are hotels that provide facilities that cater to the needs of the Muslim travellers. Barcelona in Spain might not be an Islamic city, but there are several Muslim friendly hotels in Barcelona that you can consider while having a vacation here. They either provide Halal menus, prayer mats, serve vegetarian meals or situated near mosques or Halal restaurants. Barcelona is a lovely and bustling city in Europe that offers many things to see and activities to do to Muslim travellers. If you are planning to have a Halal trip to Spain, consider these following 5 Muslim friendly hotels in Barcelona! One of the best Muslim friendly hotels in Barcelona that you can consider is Hotel Cortes. It is near the city centre and public transport; easy access to Metro train. If you are to stay at this hotel, you can request for a Halal breakfast. Gluten-free meals are also provided upon request. Hotel Cortes is ideal for Muslim travellers or backpackers who wish to stay near to Barcelona’s famous attractions. 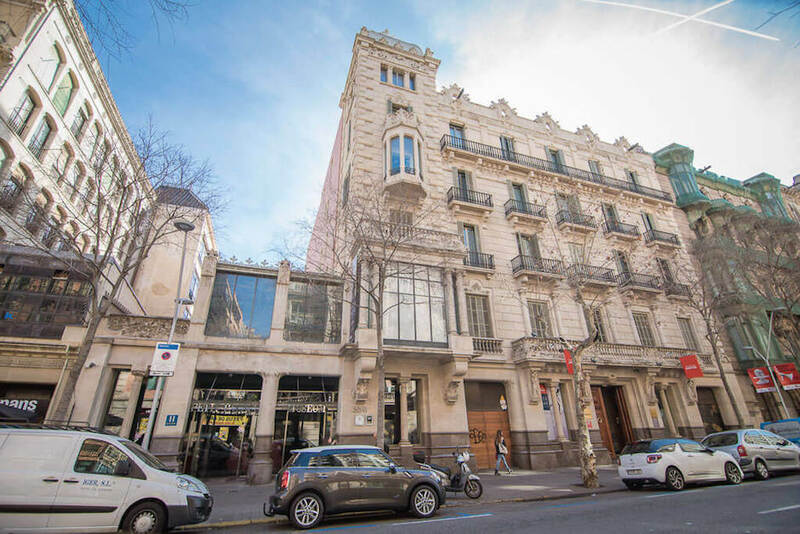 Plaça Catalunya, Cathedral, Ramblas, and Gothic Quarter are just a few meters away from this hotel. 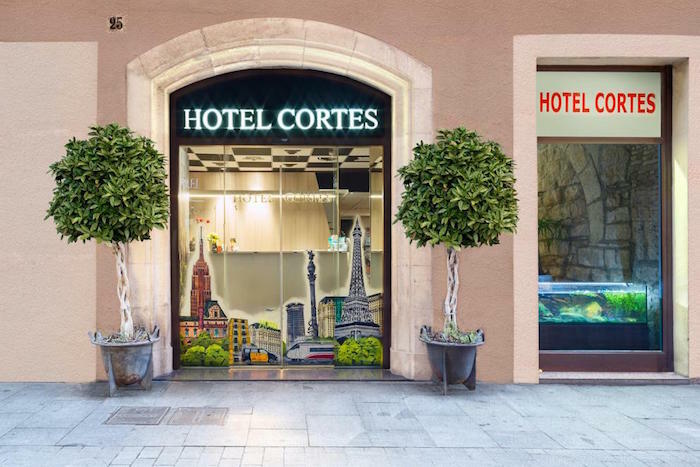 To get the best prices at Hotel Cortes, click here and make your online booking now! 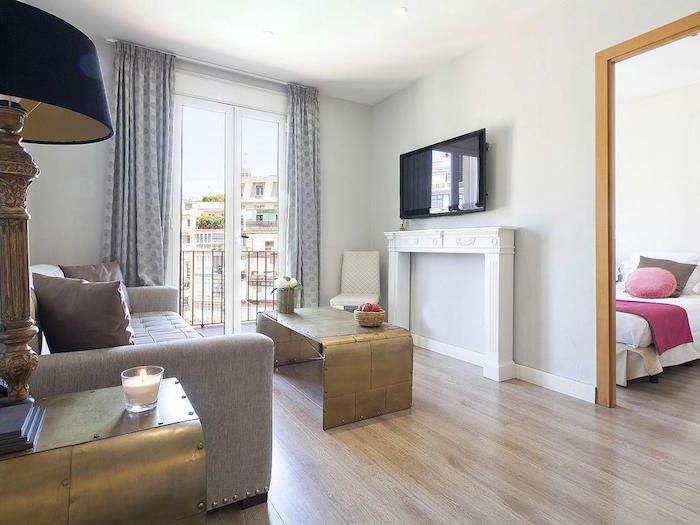 If you are travelling to Barcelona with your big family or a group of friends for a fun Halal holiday, this apartment hotel is an ideal option for you to consider. The apartment comes with complete amenities and very spacious; you can fit up to five people per room! At Grandom Suites, you can request for your Halal food in advance. 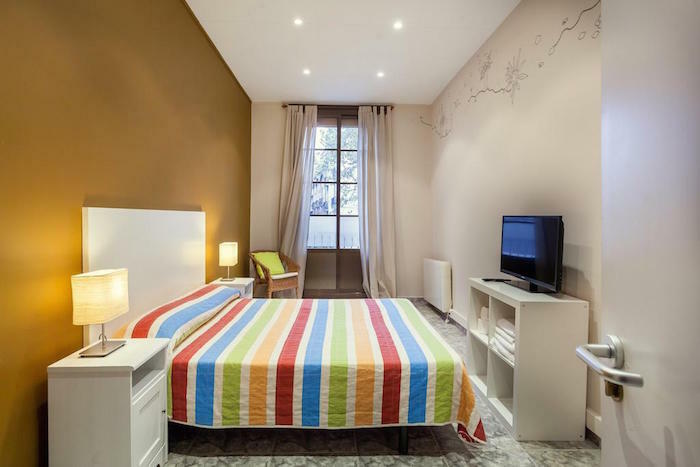 This apartment hotel is near to Universitat Metro Station (300m), so commuting is easy if you stay here. Other nearby attractions include the famous Ramblas, Plaça Catalunya, and Tivoli Theatre. Click here now to get the best prices at Grandom Suites. 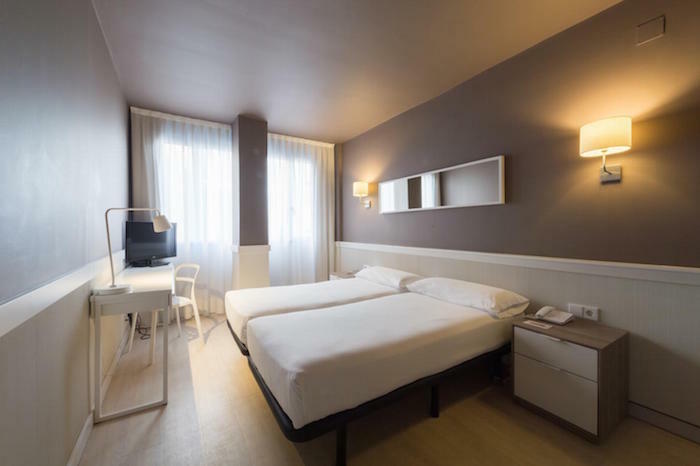 Vincci Mae Hotel is another Muslim friendly hotel in Barcelona that provides you the best value for your money; it is worthy of your consideration. It might not serve Halal breakfast but you can request for vegetarian meals at this hotel. This four-star hotel is very modern and its rooms are stylishly equipped with new furniture. 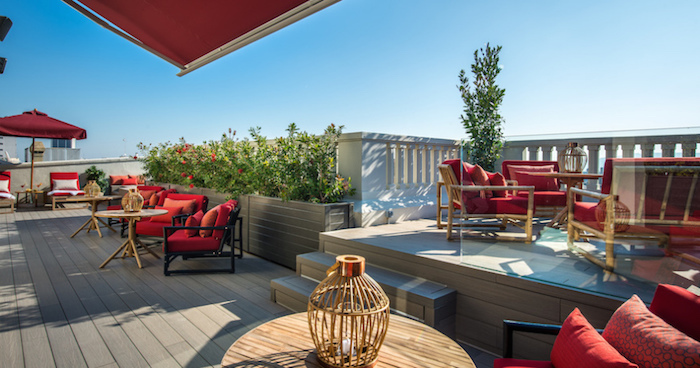 There is also a plunge pool and from the hotel, you can enjoy the view of Tibidabo Mountain and Diagonal Avenue. To get the best deal on Vincci Mae, click here and book now! Hostal Paraiso is also one of the Muslim friendly hotels in Barcelona that you can consider. The hotel is Halal friendly in a way that they do not serve alcohol in their mini bar. Plus, it is also located very near to several Halal restaurants in Barcelona such as Restorante Maqtub and Maharaja Restaurant! Since it is in the city centre, you can easily walk to the nearby attractions like Plaza Reial and Picasso Museum. Click here to get the best prices for this hotel and experience hassle-free online booking. If you would like to enjoy a pleasurable stay in Spain, we recommend you to book one of the Muslim friendly hotels in Barcelona – Hotel Paral-lel. By staying here, you can dine at one of the nearby Halal restaurants. Plus, it is close to Metro station and beach! Due to its strategic location, you can also easily go to famous attractions like Las Ramblas and the Gothic Quarter. Click here to get the best prices and make your online reservation today! When travelling in Spain, refer to this Muslim friendly travel guide to Barcelona to know which places to go to and where you can get Halal food in Barcelona.